Hernando County covers approximately 506± square miles including the cities of Brooksville and Weeki Wachee with a population of approximately 170,855±. Unincorporated areas include Spring Hill, Ridge Manor, Ridge Manor West, Bayport, Aripeka, Lake Lindsey and Hernando Beach. The county stretches 37 miles from east to west and 18 miles from north to south. 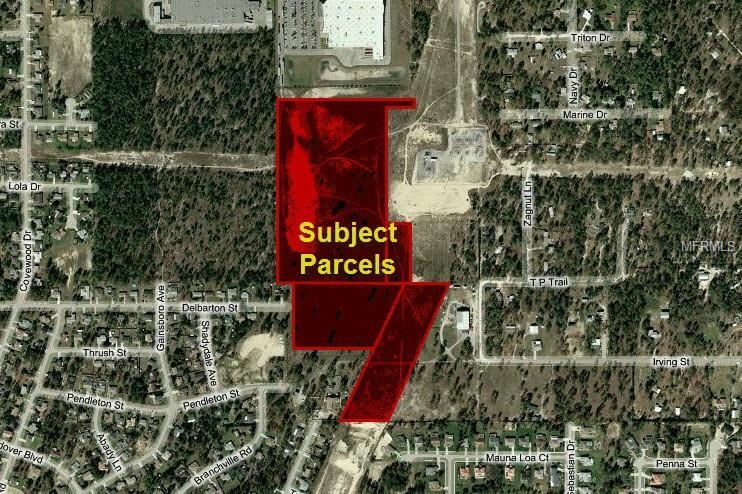 This is a 38.6± Acre site that consists of four adjacent parcels. The property has potential for commercial, residential, and multi-family development. Subject is located at State Road 50 on the south side. The location is short distances from the Suncoast Parkway, US Highway 19, Barclay Avenue, Spring Hill Drive, US Highway 41, and the Hernando County Airport. The approximate monthly Principal & Interest payment for this property would be $8,712. This payment is based on a 30-year loan at a fixed rate of 4.12 % with a down payment of $199,500. Actual lender interest rates and loan programs may vary.